Here is our free camping on East Coast Australia guide from Travelwheels Campervan Hire. Our staff and customers have given us loads of tips and hints about where are the free campsites in Australia for campervans. As a result we have made this giant list of free camping on the East Coast of Australia to save you money on your travels! 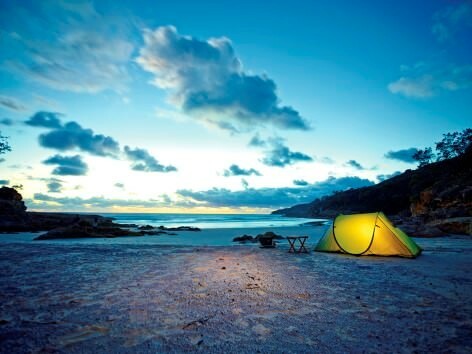 Camping is one of the most rewarding ways to explore and experience Australia. This is particularly true for a country that is known for the natural beauty and also for many outdoor activities in the sunshine. 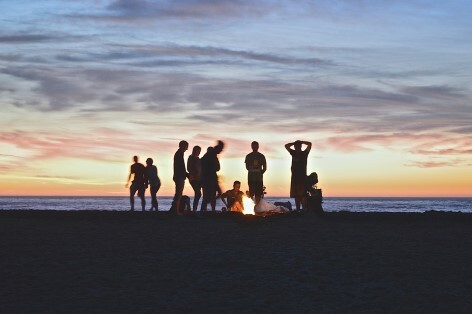 In order to save your money for more exciting sky dives and outback safaris, we have compiled an article about free campsites. This will save you a lot of money by not staying at paid campervan parks which can be expensive on the East Coast. One of the most frequently asked questions by our customers who hired a campervan with travelwheels is about, “How to save money in Australia when travelling?”. Finding Free camping on East Coast Australia is not always easy! Camping photo from Sam Ross’s site Hammock Hombre – well worth reading his blog for travel tips. People thinking about going for an East Coast campervan rental holiday often ask these questions below. How much does a campsite cost in Australia? Are there any free campsites in Australia? Were do I find free camping in Australia? Is there any free campervan stops on the East Coast? 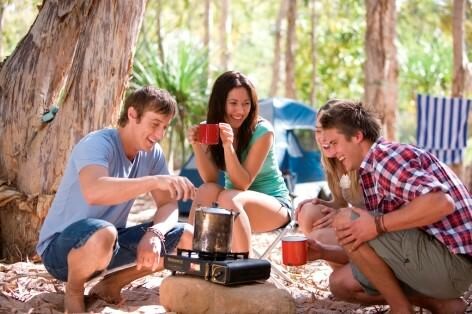 You can find many great camp grounds in Australia for people who are thinking about hiring a campervan to explore the country. Prices range from $5- $35 per night per person, ouch! If you pay $5 night it is most likely for a national park campsite and consists of minimal facilities including a Thunderbox! This is what Australians call an outdoor eco toilet. They also call the outdoor toilet a “dunny” or “green pooper”. Don’t count on drinking water and make sure you always stockpile enough of it in your campervan you hired. Finally there should be a water supply to wash your dishes etc. 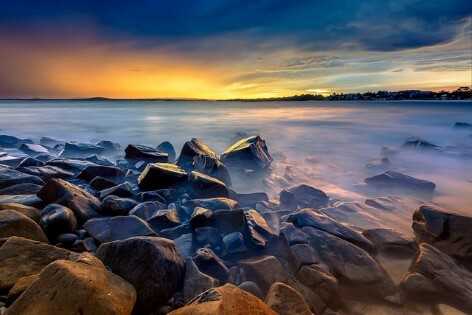 If you want something more comfortable, you can find plenty of campsites on East Coast of Australia near small towns. 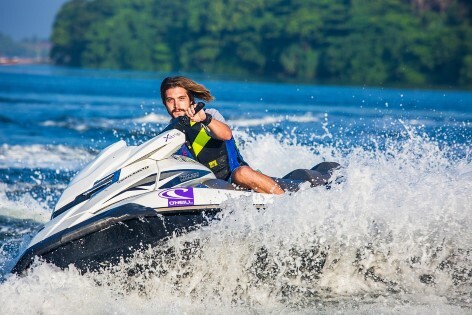 The price depends mostly on the equipment and facilities they offer. If the place has electricity, laundry rooms, kitchenettes, a swimming pool and entertainment corner, of course, the price increases. The location certainly plays a role when searching for Free camping on East Coast Australia. 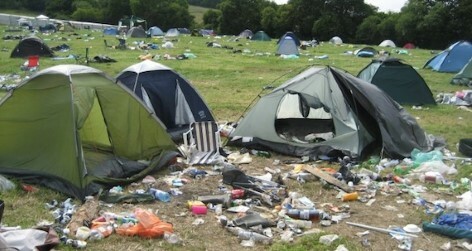 If you are in the immediate vicinity of a tourist attraction, a night at a campsite can become more expensive, ouch! 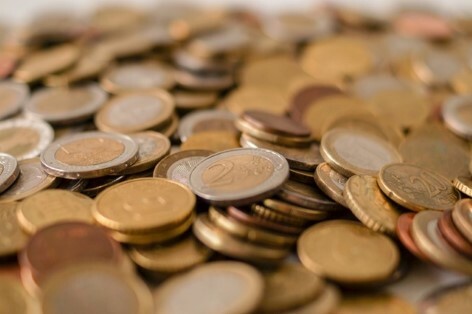 You can save a lot of money with this guide! Where do I find free camping on East Coast Australia? 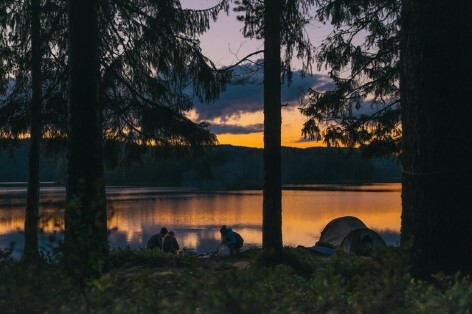 By using free camping sites you can save tons of money! But they do not exist everywhere. So where can you find free camping on East Coast Australia? Travelwheels Campervan Hire staff recommends the brilliant app “Wiki Camps Australia“. The free app is available on Android, iOS and Windows. After 21 days, however, the trial version expires and you have to invest about $ 5 in order to continue to use it fully. This is after all a small price compared to the savings the app generates. 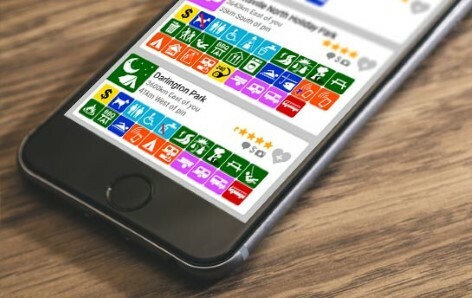 This is our staff top pick for travel apps for anybody looking for free camping on East Coast Australia. Wiki Camps Australia gives you an overview of all sleeping possibilities in Australia and is fabulous for finding free campsites. Furthermore, you will see comments and pictures from other travellers who have hired campervans along the East Coast. In addition to the contact details of the free camping list, it will also list the main features of the campground. 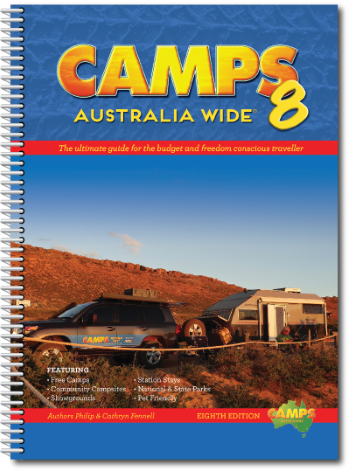 If you prefer to explore Australia whilst not being reliant on a mobile phone, therefore we recommend the Camps Australia Wide map book. Similar to the app, you have the best free camping on East Coast Australia listed with their facilities. The maps of the Camps Australia Wide series are worth their money! Let’s talks about our free campsites along the East Coast of Australia between Cairns and Sydney. 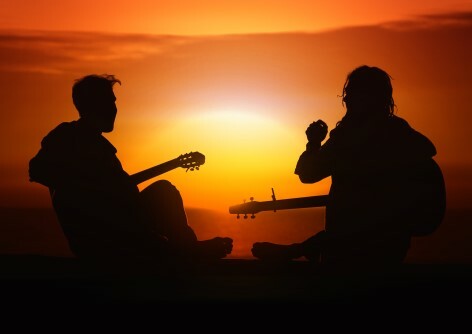 Remember this is the most popular campervan hire trip in Australia, so can be tough to sometimes to find low cost or free camping sites for campervans. 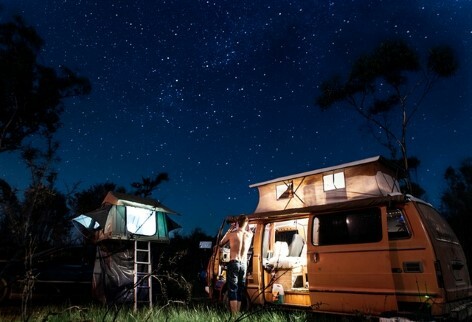 Free camping in and around Cairns, some tips from staff in our campervan hire branch in Cairns. Due to the proximity to the Great Barrier Reef and the phenomenal natural reserve Cape Tribulation, consequently there are not many cheap campsites near Cairns. As a result our Cairns campervan rentals team have searched high and low for Free camping on East Coast Australia for you. We have found a couple of great spots we can recommend for free camping close to Cairns. This way you can save your money for cool stuff like things to do in Cairns on a budget we recommend our customers to read. 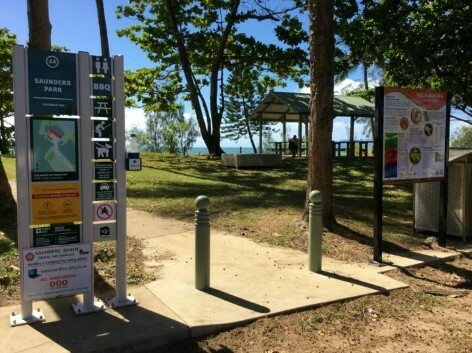 Near Travelwheels Cairns campervan hire branch you will find about 40 free camping sites and resting places. Many are quite simple, and hence not all have a shower or drinking water. Instead, some of them might have a nice view or are the perfect place for that Free camping on East Coast Australia spot you were looking for! Camp over for the night and then the next day explore the area by campervan on your way from Cairns to Sydney. Remember hiring a campervan along the East Coast of Australia is the number one way to explore all the attractions along the east coast. 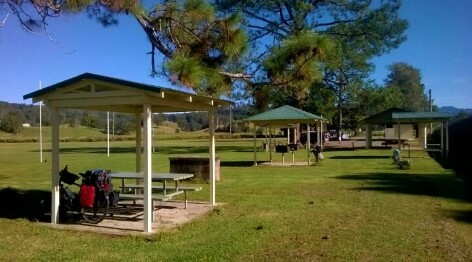 Rifle Creek Rest Area, Wetherby Rd, Mount Molloy QLD 4871, is a great place for a quiet night and is just a little over a half hour drive from Port Douglas. Not only is it a beautiful setting, you can also benefit from hot showers, campfire places and small hiking trails. For the maximum use of 2 days they only ask for a voluntary donation of $2. This is a great way to start your free camping on East Coast Australia trip! 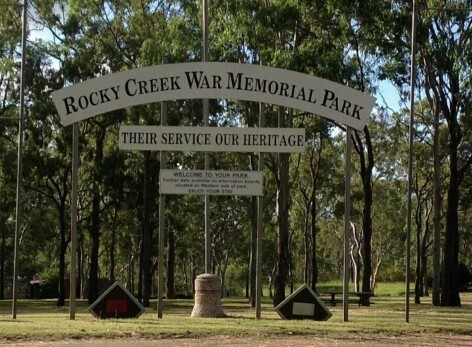 Rocky Creek War Memorial Campground is located on the Kennedy Highway in Tolga QLD 4882. From here, the Atherton Tablelands south of Cairns can be excellently explored. Click on this link for our Atherton Tableland’s travel tips. Mission Beach is one of the highlights during a trip to the Australian rainforest. A sky dive from this location offers you excellent views over the Great Barrier Reef and the Daintree Rainforest and includes a landing on the soft, pristine sand of Mission Beach! There are several campsites in the area but your wallet might need a holiday after paying for those campsites! If you are searching for Free camping on East Coast Australia, then you might find it tough near here. Hence, here a few free campervan parking possibilities that will not send your wallet to the hospital! Mena Creek Hotel is located 15 minutes drive from Innisfail and 45 minutes from Mission Beach. This is a great stop to travel further south after a wonderful trip through the Atherton Tablelands. The campground behind the pub is currently under reconstruction, consequently it is not yet clear for how long this will still be a free camping on East Coast Australia site! 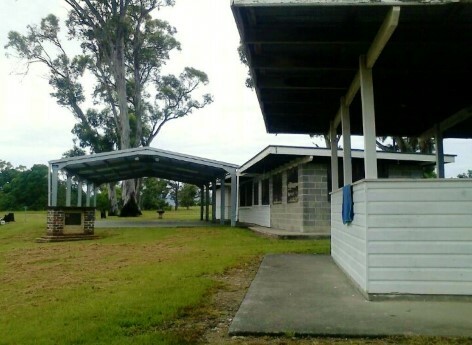 The Bilyana Rest Area is located on the Bruce Highway, 40 minutes south of Mission Beach. Some travellers report that from time to time a farmer would pass by and drop off some of his delicious fruits and vegetables. This is a classic example of what sometimes you can expect at free camping on East Coast Australia camping grounds. The Ahston Hotel at 9 Haberman Rd in Long Pocket, is close to Hinchinbrook Island, but also popular for it’s fantastic lookout. 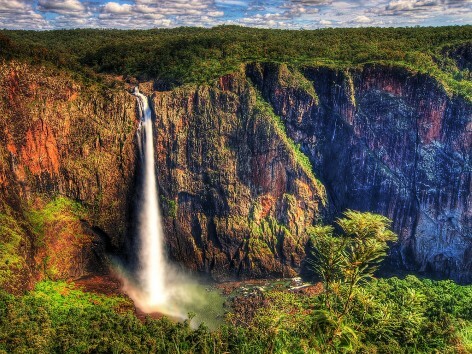 Visit the closeby Wallaman Falls and let yourself be carried away by a tearing waterfall! Before you park at the Ashton Hotel and make yourself comfortable, please register in the restaurant. 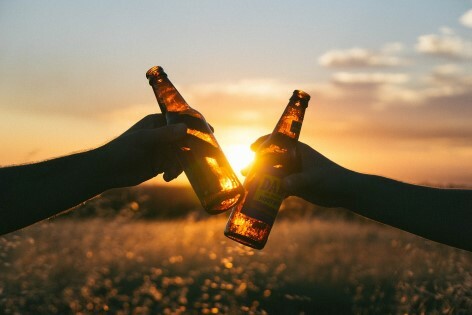 This is a great free camping on East Coast Australia place, but it is appreciated to support the local pub by buying a cold beer or a delicious meal. Crystal Creek Huts and Camping (Barrligie Road in Mutarnee), north of Townsville, has shady pitches near the beach. Most of all it offers great access to the wetlands around Crystal Creek. A nice place to stay. Remember to take your trash with you, because there are no facilities at this free camping on East Coast Australia spot! Hot shower, drinking water, free BBQ and a beautiful beach! All this can be found at the Balgal Beach North campsite. 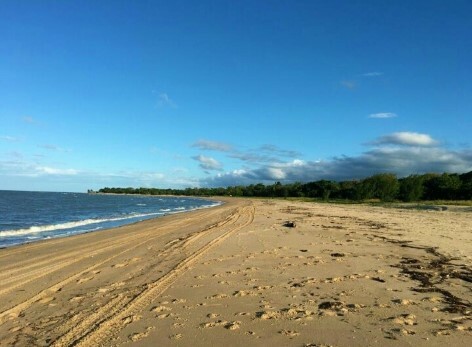 This free camping on East Coast Australia site is located on the bank of Balgal Beach, about 5 km off the Bruce Highway and the town Rolling Stone. We recommend to be there before 4 o’clock, otherwise the good places might be occupied and you have to carry on finding another free campsite in your campervan. Saunders Beach Campsite at 2 Reef Street in Saunders Beach, is located right on the beach! The warm shower installation is surpassed only by the magnificent views. A must for anybody looking for the perfect free camping on East Coast Australia! The locals also appreciate their beautiful place, so you can only park for a maximum of 48 hours to make it fair for all campervan rental customers on the East Coast. 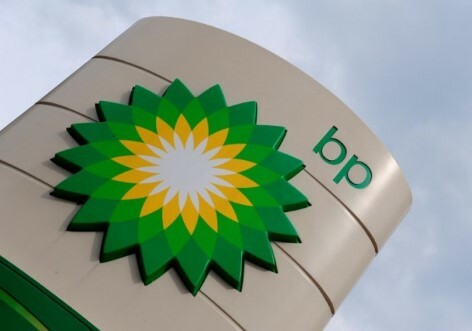 Free camping on East Coast Australia – BP Gas station in Townsville!! Those looking for free camping grounds on the East Coast should check out BP gas station in Townsville! You might say why stay at a petrol station, are you crazy? The rest area is free, and especially relevant is the fact they have shower you can use for $5. Most noteworthy is the fact they also have free Wifi at the petrol Station! Why not stay here for free wifi, shower and it’s another free place to park your campervan on the East Coast! This way you can continue your trip the next day fresh and clean with a full tank and new supplies. This is the last free camping on East Coast Australia before Bowen and Airlie Beach with a hot shower. A 90 minute recharge of electrical appliances costs $2 only and the use of washer and dryer $4 each. While you are waiting you can even get a cheap drink for a gold coin. You can find the Home Hill Comfort Stop at Eighth Ave in Home Hill. This place is located at the Bruce Highway in Bloomsbury, about an hour south of Airlie Beach. As with the petrol station in Townsville, you can spend the night for free here. The shower costs only $1 for 2min, so you best be quick here! 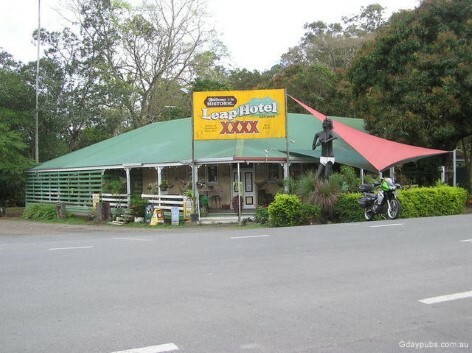 The Leap or the Leap Hotel which is located at 1959 Bruce Highway is another option for anybody looking for free camping on East Coast Australia. 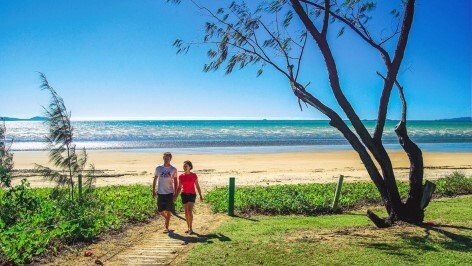 It’s just a short stroll away from Mackay, another beautiful tourist destination. It is a small campsite and it is much appreciated to buy a “Thank you” beer or a meal at the pub in front of it. The showers cost $2.50 and are apparently very clean and well maintained. 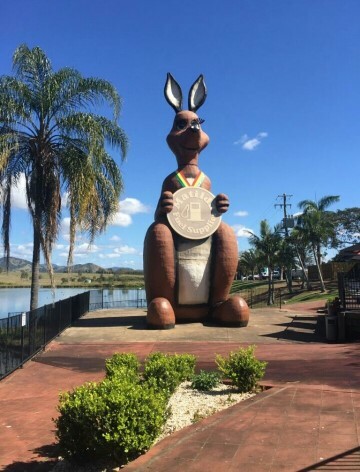 Rockhampton is used by many travellers as a place to stock up with supplies for your campervan rental holiday, and then head off somewhere else! Not many travelwheels campervan hire customers said they spend much time exploring the city of Rockhamption. Normally it’s either for shopping or visiting the tropic of Capricorn which cuts through Rockampton. 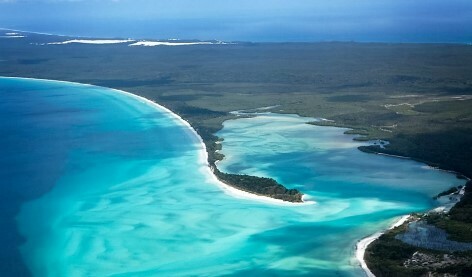 Hervey Bay, on the other hand, is the gateway to Fraser Island, the largest sand island in the world! 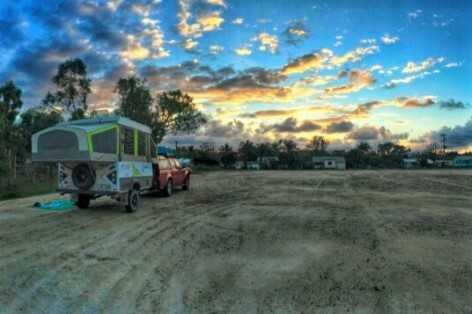 If you are looking for another free camping on East Coast Australia, then why not park up your campervan at Kabra Hotel. You can spend the night at the Kabra Hotel campsite, 1232 Capricorn Hwy in Kabra, for free, but in addition they kindly ask you buy something from the pub. 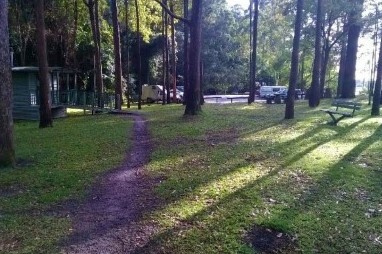 The showers cost $ 2.50, and this is a cheap way to find a campsite in Australia for your campervan. Calliope River Rest Area is on the Old Bruce Highway in River Ranch. 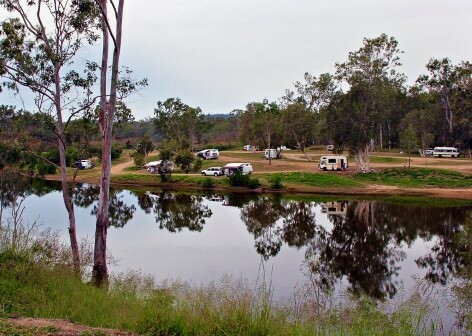 The campsite can be accessed from both sides of the river and offers a beautiful view as well as a great starting point for visiting Gladstone. The Boyne River Rest Area at 48746 Bruce Highway in Benaraby. This free camping on East Coast Australia site is located just off the road and can get quite crowded at times. This is a great example of free campground from Cairns to Sydney and has toilets and showers available. 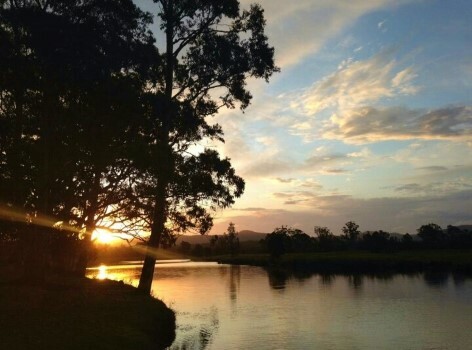 Before or after your stay you can explore Gladstone which is right beside a lovely river. The main attractions are Auckland Hill, The Round Hill Lookout and the beautiful Mount Larcom. A little further south you come across the village Seventeen Seventy, a hidden gem among the Australian highlights. 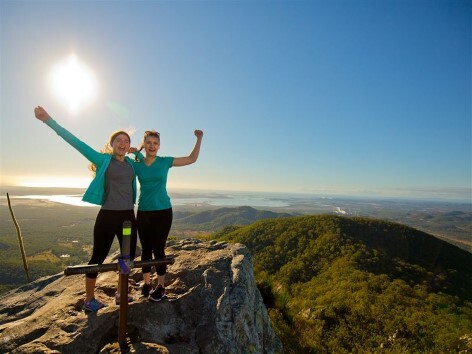 Mount Larcom – Enjoy an unforgettable view! Just before Bunderberg, at 23 Main Street in Yandaran, is the Yandaran Hotel. Again you can park your campervan for free and spend the night here if you spend a little something in the restaurant. Showers are available and cost between $ 2.50 and $5. 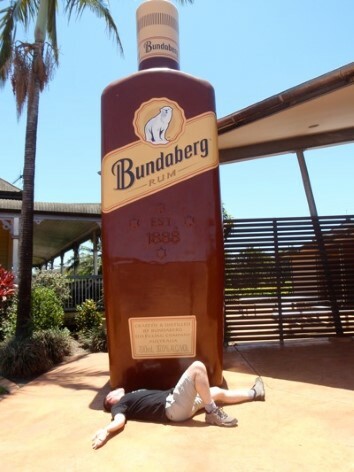 The next day you can explore Bunderberg and its famous rum distillery. The Apple Tree Creek Reset Area at 26-34 Drummond Street in Apple Tree Creek. This is the last free camping on East Coast Australia with a toilet before Hervey Bay and the ferry to Fraser Island. Since it is located right on the road, the traffic can be a bit noisy at times, but the toilets should be clean. These small stops are classic places to stop for anybody driving along the east coast of Australia and on a tight budget. It maybe not be the most beautiful free camping area, but you will be able to park your campervan here overnight for free! North of the Sunshine Coast you will find lots of opportunities for free camping on East Coast Australia. Once you head south it will be more difficult to find free camping and places to park your campervan. However, there are some camping grounds located further away from the main attractions of the east coast. For the Sunshine Coast, a stay of several days is recommended. Be smart and plan where you want to stay in advance. This way you can put your valuable time to good use exploring Australia instead of looking for last minute campsites. Ross Creek Store at 1460 Tin Can Bay Road in Groomboorian is the best place for local pies and fresh eggs! You can grab free camping on East Coast Australia here and park your campervan on a beautiful grassy area. 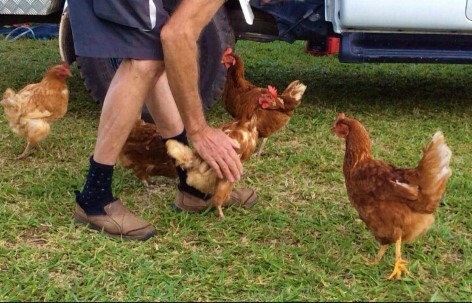 Then jump out of your travelwheels campervan and go straight to the big chicken stall to watch the happy hens! You will have an opportunity to buy some of their eggs for a delicious breakfast. Toilets are available, unfortunately they don’t have any showers. Another plus point for this free campervan friendly campsite is that for a fee of just $1 you get a power socket for an hour to charge 4 devices at the same time. Ross Creek Store Campsite – Free! 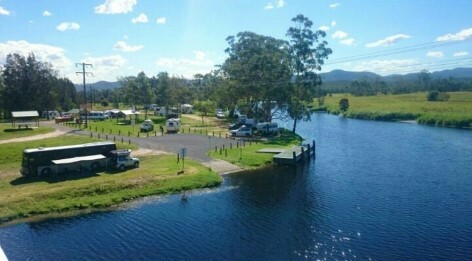 This free camping on East Coast Australia spot is adjacent to the Bruce Highway in Kybong and is located right at the information center. The place is ideal for bird lovers and the mascot Matilda, a huge kangaroo, can also be visited. Showers cost $3 and toilets are clean and free. 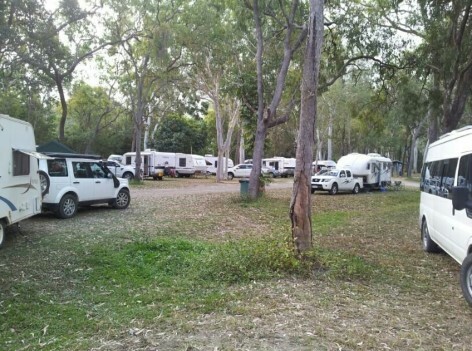 The “Jowarra Park Area” is probably the closest free camping on East Coast Australia to the Sunshine Coast, and unfortunately can get overcrowded. You will find the rest area 500 meters after the Landsborough Exit on the highway. There are no showers or drinking water here and consequently we would like to remind you to dispose your own rubbish correctly. The green park is ideal for a night out in the open air in your Travelwheels Campervan Hire van. 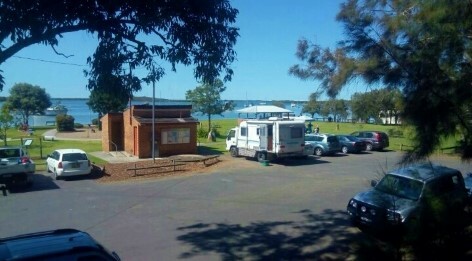 If you need a free campground for your campevan in Brisbane, the search is usually a bit harder. 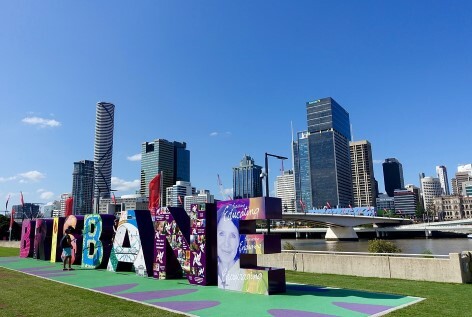 We recommend to sleep outside the city and then use the day to explore Brisbane’s city center. 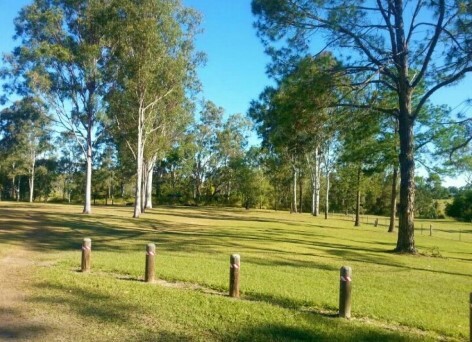 North of Brisbane, at 10 Gympie Road in Petrie you can find Wyllie Park. Toilets, drinking water, BBQ stands and mobile phone reception are available. However, a stay of more than 48 hours is not allowed. This is a good and more importantly free camping on East Coast Australia spot relatively close to Brisbane. If you leave Brisbane in search of free camping on East Coast Australia, we suggest heading southwards via the Mount Lindsey Highway. Take the Greenbank Road exit and turn left onto Beryl Parade. This way you will find your way directly to the next free place to park your campervan. The free place to park up has toilets, and in addition here is a link to the Tully Memorial Park. 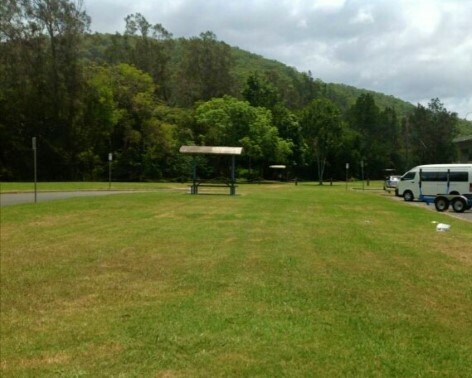 At Reisers Road in Beenleigh is another free camping space for your campervan for up to 72 hours. The supermarket, Woolworth is less than just 2 minutes away. A quick stop here for the ingredients needed for a perfect BBQ. It should also be noted that this is the last free camping on East Coast Australia before Surfers Paradise. There are no free campsites near the Gold Coast. Byron Bay is known for some of the best surf spots in the world. Parachuting jumps are also one of the most popular activities in the region! Make sure you have a little extra time to get the most out of your stay! Please be careful in and around Byron Bay when looking for free camping on East Coast Australia. The local council are ferocious when it comes to handing out parking tickets for illegal campervan parking! Watch out for signs banning no overnight camping within the city limits. As a rule, this is once place where we do not suggest looking for free camping on East Coast Australia in Byron itself. This is one of the places we recommend to our customers looking for free camping on East Coast Australia. Yelgun rest area at the Brunswick Valley Way in Ocean Shores. There are clean toilets and barbecues, and the rest area is bigger than you might guess. Again, we encourage to come early in the afternoon to still snag a seat as consequently this is a popular free camping spot on the East Coast close to Byron. Spacious rest area with clean toilets are not a rarity in Australia. If you travel from north to south you will find another free camping on East Coast Australia spot on the Pacific Highway in West Ballina. 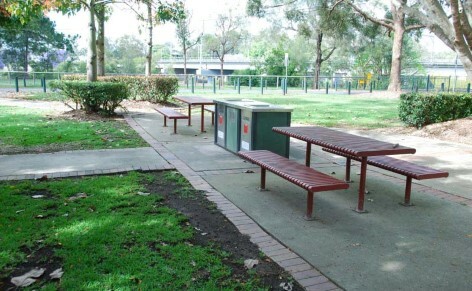 This simple rest area is located right on Pacific Highway in Wardell. Toilets are available and with Telstra you should also have a good mobile reception. 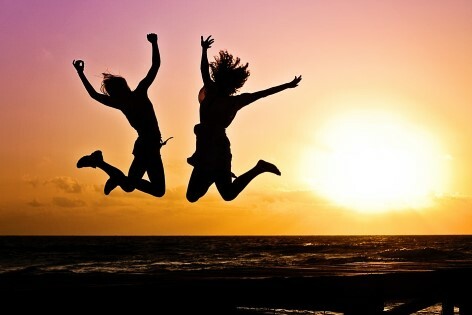 Free campsites in Australia – a reason to celebrate! 4974 Pacific Highway in Halfway Creek is the address for this pitch. The petrol station is open 24 hours a day and offers a shower for $4. 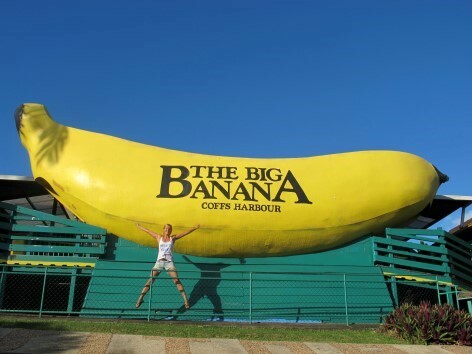 Coffs Harbor is famous for the “Big Banana”, one of the famous giant statues. Here is a link about Australia’s “Big Things“. 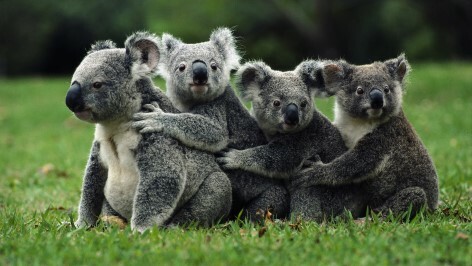 Port Macquarie is the perfect place to watch koalas in Australia’s oldest koala hospital. In addition, we recommend exploring the rainforest tree tops at the Sea Acres Nature Reserve. The football field at Waterfall Way in Fernmont is a great area for a quiet night. The park is nice, the locals friendly and the toilets clean. A small donation of $2 is requested for free camping on East Coast Australia at Burdett Park. 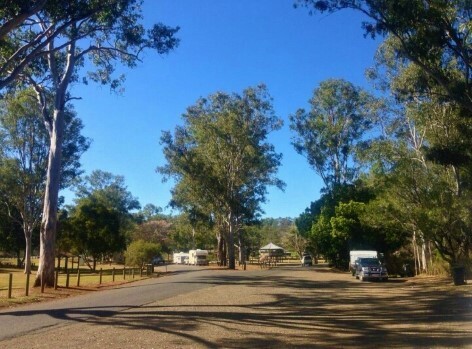 A little further inland, on Main Street in Willawarrin, you will find a very quiet campsite. The sign postings are not optimal, but if you see the Carlton Draught Hotel, you will find a small dirt road on the opposite side. Here you get to a large grassy area next to a rodeo facility, where you can find 3 sites with power supply. Toilets are clean and also provide power to recharge your electrical appliances. It should be noted that there can be many spiders at times. Next to the Pacific Highway in a town called Telegraph Point, there is another free campsite. This rest area is located next to a river and an ideal starting point for a kayak trip upriver. There is no shower, however, the toilets are clean and the environment nice. On the way from Port Macquarie to Port Stephens you can find some free camping on East Coast Australia route along the highway. The area is very nice and we recommend exploring the coast. 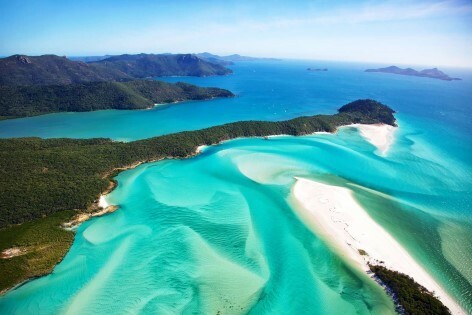 In Port Stephens, it is worth taking a multi-day stop. 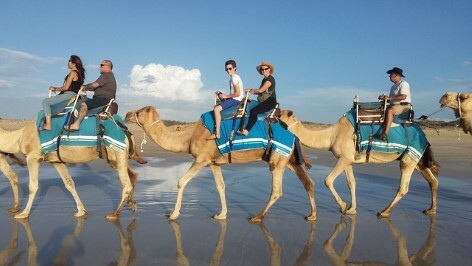 Here you can ride with camels through the desert, slide down giant dunes with a sandboard and go on a boat trip to visit the capital of dolphins. There are over 140 dolphins that live in the bay! 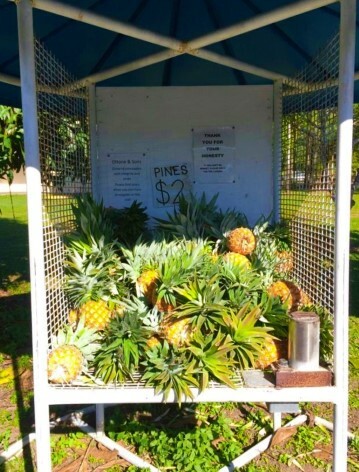 Keep your eyes open on the Old Pacific Highway and stop at the Glenthorne Truck Stop when searching for free camping on East Coast Australia. Free hot showers, clean toilets and free wifi at McDonalds! What more could you wish for as a backpacker? For a $ 2 donation, you can camp right next to the river while enjoying the sunset. The toilets are a little further away, but the view is worth it. 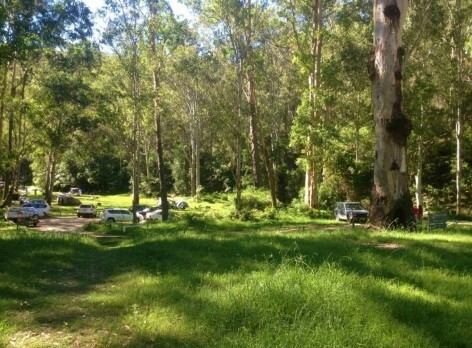 If the campsite is already fully occupied, there is the Bulahdelah Golf Club just around the corner at Recovery Road. There you can get a hot shower for $5, too. 446A Tarean Road in Karuah is located right at the river next to a bridge. The cold beach shower is public and free of charge, and during the day you can see a lot of pelicans. From here you can easily get to Hawks Nest and Nelson Bay. 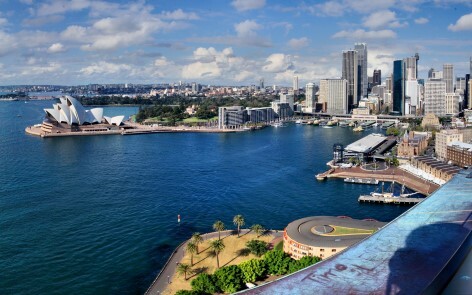 This is the 1 million dollar question – Where can I find free camping in Sydney? It is impossible to find a free campground in the center of the city. We have however found a few nice rest areas and campsites in the surrounding area. 1121 Comoleroy Road in Kurrajong offers you a free camping on East Coast Australia near Sydney. The toilets are not outstanding, however the area is nice for small hikes and the campground is only 1 hour and 15 minutes from Sydney. 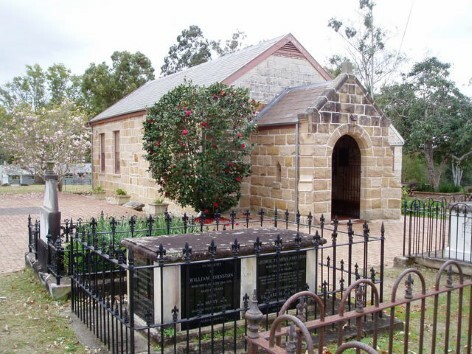 Close to a beautiful hiking trail and next to the oldest church in Australia, the Ebenezer Church, there is a free possibility to park your campervan and stay the night. Hopefully, you will not be afraid of ghosts, because the cemetery of Ebenezer Church is just around the corner 🙂 – 115 Coromandel Road, Ebenezer. 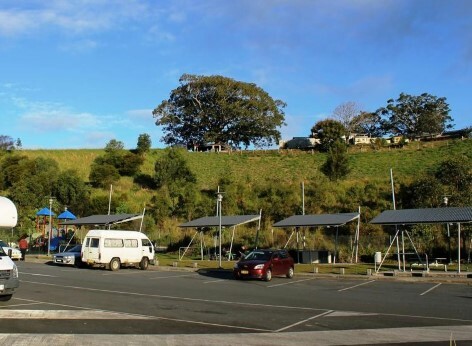 Directly at the Hume Motorway in Menangle is a car park that can be used as a campground. Access only if you drive from the north to the south. Toilets are available, but not the cleanest. From here you only need an hour to the center of Sydney. Also located on the Hume Highway you will find a service station in Pheasant Nest. This rest area is slightly further south than Partridge VC Rest Area, but still close to Sydney. Free camping in Australia – Enjoy Life! As you can see it is quite possible to travel from Cairns to Sydney on your campervan hire holiday on the East Coast of Australia in a camper van with a small budget. We ask you, however, to consider your environment and your neighbors. Clear up behind you! Many free camping on East Coast Australia are closing down annually, because travellers leave their rubbish, and make a right mess! Therefore local councils then impose strict no free camping on East Coast Australia signs or completely close down these free campervan campsites! Nobody wants to sleep here! 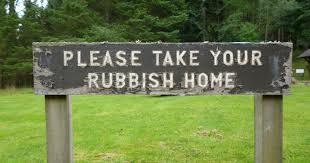 Take your rubbish with you! Free campsites for campervan hire holidays, locals, and travellers can not exist if nobody takes care of them and follows simple rules. Support small towns with a $ 2 donation when prompted and or buy a snack to support local businesses. Thus, this free service of free camping on East Coast Australia will continued to be enjoyed by everyone visiting Australia. For further questions, please feel free to contact us at any time and send an e-mail to [email protected] For a personal meeting with our multilingual team you can come to our office in Sydney or call us on +61412766616. We speak Deutsch and Français and are more than happy to help you having a wonderful time in Australia. East Coast of Australia Campervan Hire Specials! Now you have read our guide to free camping on East Coast of Australia guide, and as a result you fancy hiring a campervan for the East Coast road trip! Travelwheels specialise in East Coast of Australia Campervan Hire with branches in Sydney, Brisbane, Cairns and Melbourne! Remember we are not an online reseller, consequently you can view our campervans or do a deal with us directly. Enter your dates below and our online campervan hire price checker will give you our lowest price on East Coast Campervan Rentals!